Oil rigs and underwater pipelines must be able to operate in extremely low temperatures, but equipment working in a large body of water must also contend with salt causing corrosion. In an inherently hazardous environment, risk mitigation is the difference between a successful oil rig and a large-scale industrial disaster. 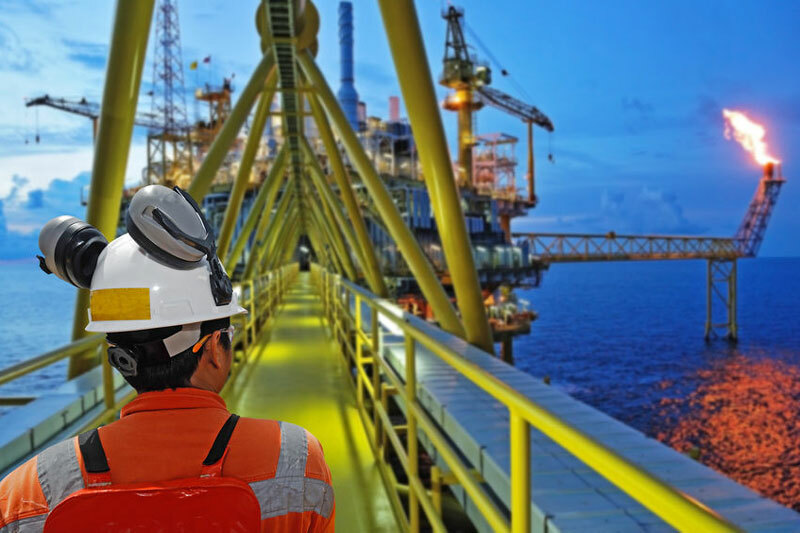 Offshore oil and gas fields across the globe utilise thousands of kilometres of subsea pipelines to connect drilling rigs and production platforms to onshore facilities or wellheads. The potential for pipelines to freeze is a significant concern. Should pipes freeze completely, the network will fail to properly transport oil or gas and the break in flow could contribute to measurement errors, instrumentation upsets or even failures. Over time, these failings can severely impact the profitability and efficiency of an oil and gas operation. Corrosion presents another risk. These pipelines represent billions of dollars of investment and the networks carrying valuable crude oil and natural gas need to be protected from the corrosive salt in seawater. One way to prevent high repair costs – and potential loss of life if equipment is damaged – is to apply anti-corrosion innovation from the chemicals industry. The chemicals industry is responsible for converting raw materials (such as oil, natural gas, air, water, metals and minerals) into more than 70,000 different products. One of these products is ethylene glycol – an odourless, colourless organic compound also known as ethylene alcohol, glycol and clycol alcohol. The compound is derived from ethylene – a hydrocarbon widely used in the chemicals industry. It is often made when ethylene oxide reacts with water but can also be derived from carbon monoxide. Known for its antifreeze characteristics, the compound has become an integral part of the risk mitigation processes in the oil and gas and chemicals industries. While pure ethylene glycol freezes at -12 °C, mixing the compound with water allows it to freeze at much lower temperatures. When applied to underwater machinery and pipes, the substance prevents blockages and freezing while simultaneously increasing overall protection against corrosion. Ethylene glycol also benefits other industries, including; automotive, packaging, and the manufacturing of certain vaccines. It is commonly found in de-icing fluid for windshields and aircraft, and acts as antifreeze in automobile engines. While ethylene glycol is used in the oil and gas industry to ensure the smooth operation of underwater pipelines, it is a derivative of ethylene – a colourless and flammable gas used to produce a range of plastics, solvents, cosmetics and many other products. To find out more about ethylene and how it is produced through oil and gas processes, click here.